Of course you can't be assured of your safety when you leave your house each day. But property owners have a certain responsibility to keep their premises reasonably safe, and to take steps to remedy problems as they arise. If you were injured at a retail store, public area, business or another type of property, then you may have a premises liability claim. For a free case review with our Naples or Fort Myers law office, please call The Kelleher Firm at 833-546-3675. 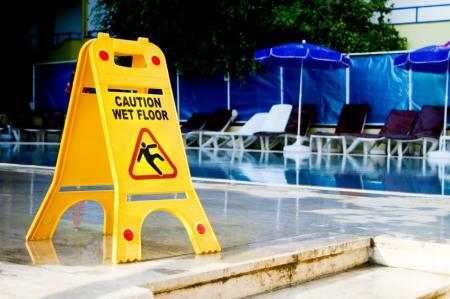 Premises liability refers to injury claims related to unsafe premises. They arise from issues of negligence. When someone's negligence is the reason the injury occurred on the unsafe premise, then you may be eligible to pursue compensation in a claim handled by our lawyers. Reasonable care must be taken on the part of the property owner to keep their premises safe. Leaky pipes, damaged walkways, spills – these are some of the prime examples of dangerous conditions that must be addressed. If you were hurt on someone's premises, it doesn't necessarily mean negligence caused the injury. The key in these cases is to show the property owner knew or should have known about the unsafe condition and did not take steps to remedy it. There are many other examples. If you aren't sure if your situation qualifies, we urge you to call our law firm. We will review the details for free and let you know what your options are. You may need assistive medical equipment, wheelchairs or in-home health aides because of these injuries. You may be unable to work, and your physical capabilities may be limited. Compensation awarded in a claim handled by our lawyers allows you a measure of holding the responsible person accountable, and provides a way to deal with the expenses and financial losses caused by your injury. While we cannot guarantee a compensation award, we believe our history of successful settlements and verdicts demonstrates our ability to get the best possible results for our clients. Not sure what to do next? Give us a call at 833-546-3675 for a free case review. The Kelleher Firm has law offices in Fort Myers and Naples, Florida. We can determine if you have a premises liability claim. If you choose to move forward with us as your attorneys, we will fight aggressively and tirelessly in pursuit of compensation on your behalf.